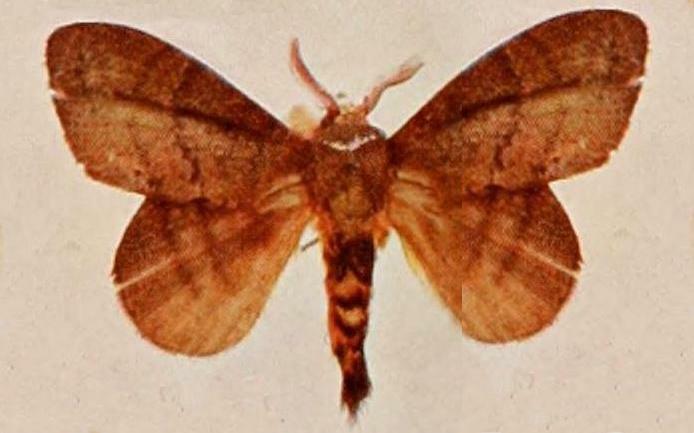 image courtesy of Biodiversity Heritage Library, digitized by Natural History Museum Library, London. 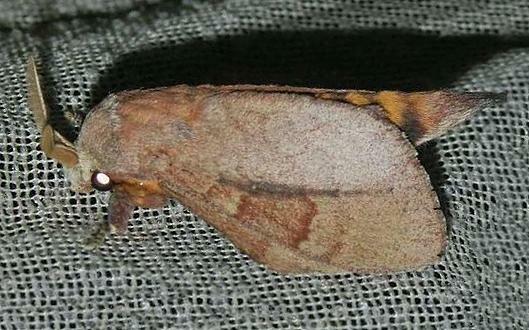 The adult moths of this species basically have brown wings with some dark markings on each forewing, including a longitudinal stripe. Each of the four wings has yellow shading at the base, and two transverse grey stripes. The abdomen has yellow and brown bands. 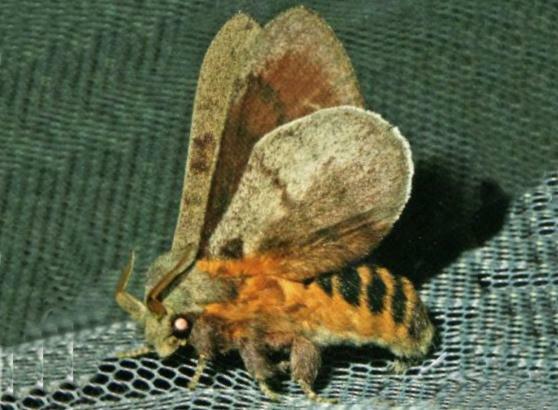 In its natural posture, the hindwings project beyond the costas of the forewings. The wingspan is about 6 cms. Volume 11 (1904), p. 397, No. 68,, and also Plate 4, fig. 7. LeapFrogOz, Kuranda, 2015, p. 100.